Another consideration, of course, was that a multi-day stay would make make it possible for me to do some singing while on Panamanian soil. 🙂 Peru had just become the 31st country in which I’ve sung, and now it was time to increase the total to 32! I didn’t waste any time taking care of business; on my very first night in Panama, I went to a karaoke bar called The Green Room in Panama City. Due to sheer laziness, I didn’t get around to learning the Van Halen song well enough to have the confidence to perform it in public at all, let alone in a foreign land. 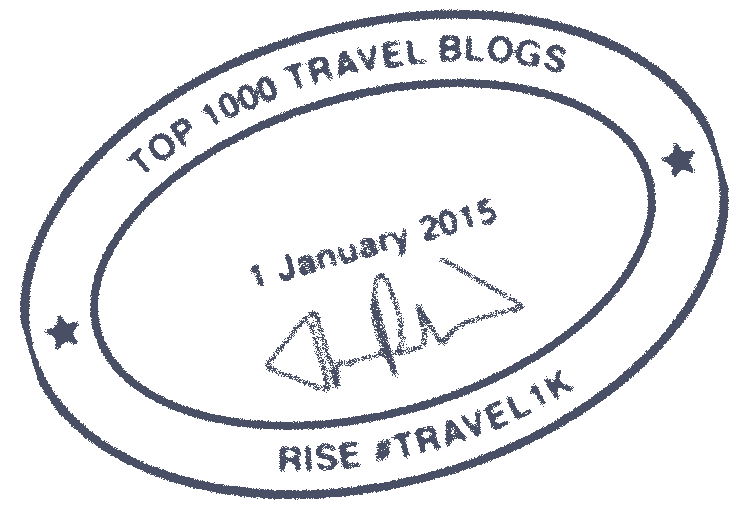 I’m okay with that, though; despite its name, the song actually has nothing to do with the country. (It’s about a car called the Panama Express.) Besides, while the Van Halen song is fun to listen to, it’s hard to imagine that it could have gone over as well with the local crowd as “La Bamba” did. Such is the story of my Panamanian karaoke debut. 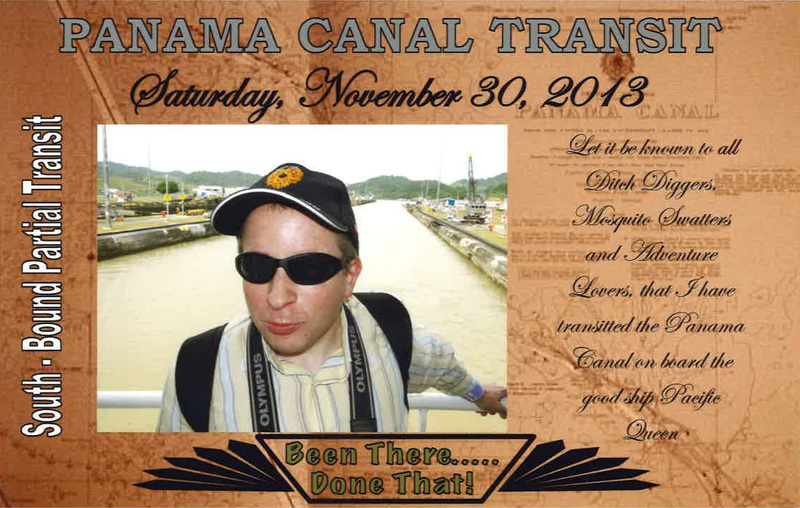 My next post discusses my experience as a passenger riding through the Panama Canal! 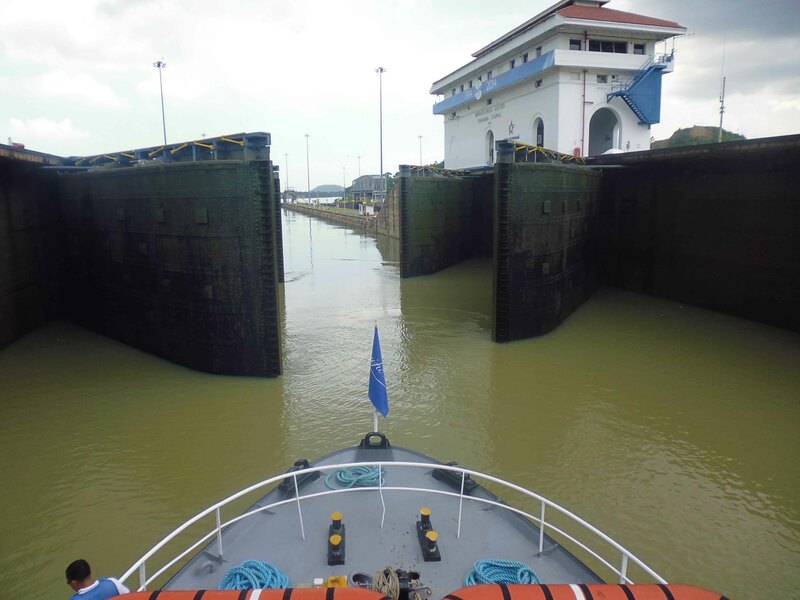 My view from a boat passing through the Miraflores Locks in the Panama Canal.